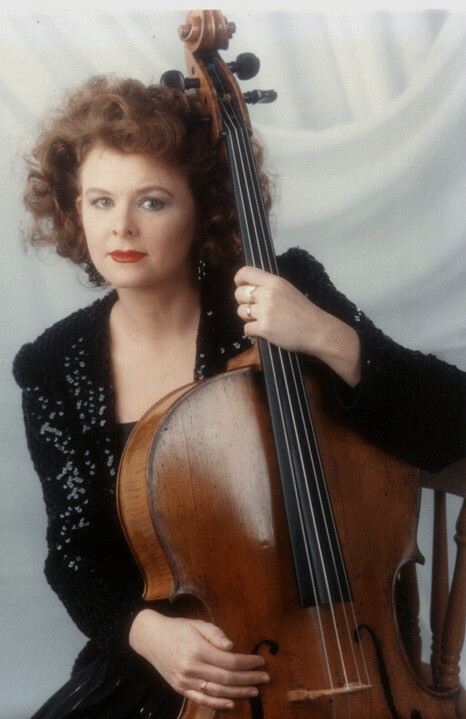 BELINDA MANWARING studied at the Sydney Conservatorium with distinguished cellist Lois Simpson. In 1982 was awarded a Queen Elizabeth 11 Silver Jubilee Award to study with Radu Aldulescu and Pierre Fournier in Switzerland. She has also participated in masterclasses and has had lessons with William Pleeth, Joan Dickson, Phyllis Young, Jacqueline Du Pre and Anner Bylsma. She has performed with the Sydney Symphony Orchestra, the ACO, The Australian Opera and Ballet Orchestra, where she was lucky enough to be playing at the last public performance of Dame Joan Sutherland. In 1988 she toured the USA as a member of The Sydney Symphony Orchestra and between 1985-88 performed frequently at the Newcastle Conservatorium where she taught cello and chamber music. In 1994 Belinda attained her Graduate Diploma in Performance from Adelaide University, studying with Friedrich Gauwerky. She also holds a Diploma in Public Performance awarded by The Australian Guild of Music and Speech, Melbourne. Belinda has performed in numerous solo and duo recitals, on both baroque and modern cello. Her chamber music concerts in Queensland include the St Stephens chamber music series, The Channon Winery concerts in Stanthorpe, University of Queensland and Southern Queensland lunchtime concerts, and annually at the Toowoomba Festival of Flowers, with organist Phillip Gearing. Since moving to the Gold Coast, Belinda divides her time between private teaching, solo and chamber music concerts. She regularly travels to New Zealand and interstate examining, training Suzuki teachers and performing in chamber music concerts. Belinda's air conditioned studio is situated on the banks of the Nerang River at Queensland's Gold Coast. It is quiet and tranquil, a perfect learning environment.